What do you know about Schizophrenia? Have you ever heard about the mental disorder illness called Schizophrenia? What do you know about it? Schizophrenia is a disorder of the brain that alters a person’s perception of reality. It makes it hard for the person to differentiate between real and imagination. It is currently in the top ten disabling conditions globally for young adults. People who suffer from schizophrenia often finds it really hard to even perform their daily activities, and retreat away from the outside world. Confusion and fear is the leads to these actions for them. 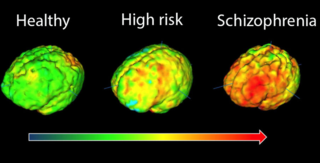 1 in 100 run the lifetime risk of developing schizophrenia. If one detects these early one signs, consultation with a doctor should immediately follow. If these signs are neglected or improperly checked, the effects can be utterly harmful both to the person suffering from it as well as to the people around him/her. It can lead to alcohol and drug abuse, relationship problems and suicidal thoughts. Schizophrenia can be fully diagnosed by a psychiatric evaluation, lab tests, medical history and physical exam. With proper care and support, medication and therapy, a person suffering from Schizophrenia can learn to control his/her symptoms and lead a normal life.